There is a theory. That theory says that if you can simply load up content everywhere – on your blog and maybe 8 social media platforms – that you will increase your numbers. It’s the “law of averages” they say. Certainly, that is one “hack” that many have used. But that content had better be in image form – Google punishes you when you spread the same content in too many places, unless it is an image (e.g., infographic). You can also write a piece of content and then re-write it 3-4 times, or hire someone else to do that. 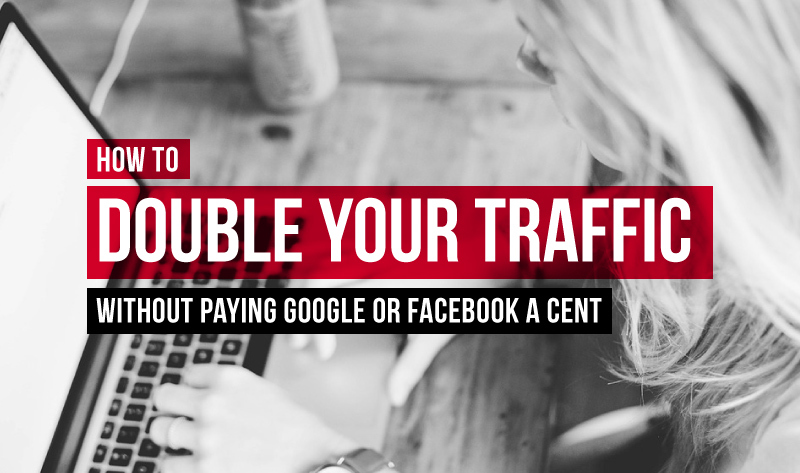 These two ideas are probably not the best ways to double your traffic – taking the easy way out rarely is. But there are ways to get huge traffic increases, and you won’t spend a cent in the process. You need time, determination, and some “smarts.” Here are 7 of them.